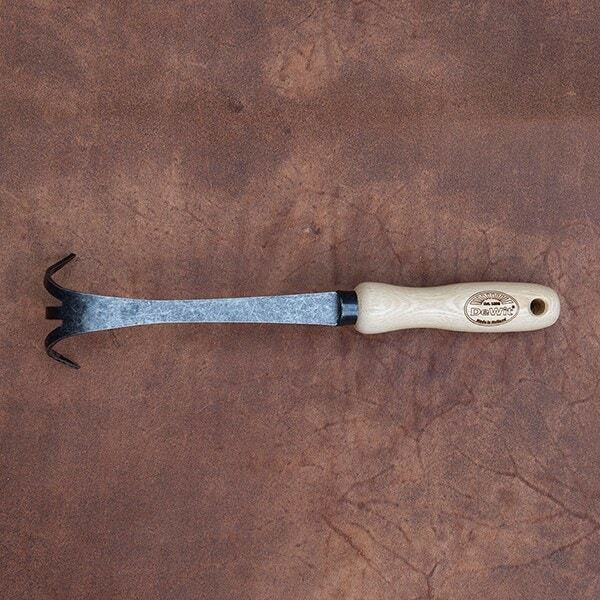 Buy De Wit bio cultivator: <ul><strong><li>Great general purpose tool for tight spaces</li><li>Made from forged carbon steel and solid ash</li><li>Lifetime guarantee</li></strong></ul><br>This compact hand cultivator is ideal for small flower beds and vegetable plots, where the 3 sharp tines can be used to aerate soil, uproot weeds, rake out debris and break up clods of earth.<br><br>Hand-forged from strong carbon steel, the tines penetrate soil with ease and have a "spring" effect to reduce impact on hands and wrists. 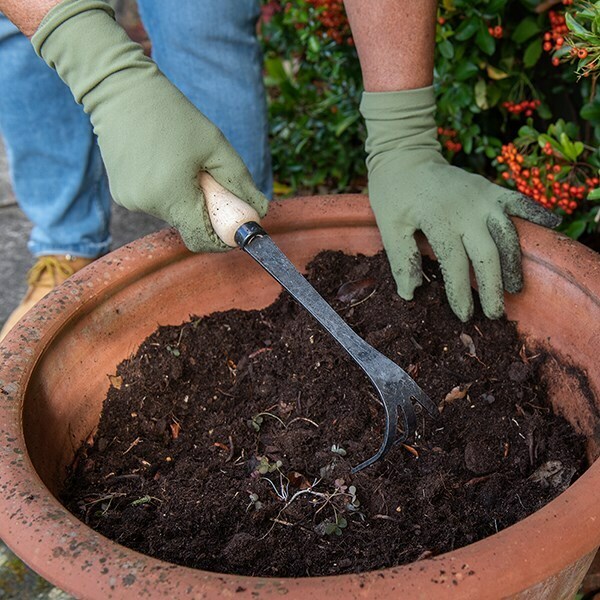 The tool is fitted with a 14cm smooth ergonomic ash handle for comfortable use.<br><br>A great little tool for raking, clearing and cultivating smaller spaces.<br><br>Measurements:<br>Total length 33cm<br><br><strong>About De Wit tools</strong><br><br>The Dutch are renowned for making the world’s finest garden tools, and De Wit is the most respected name of all. Founded in 1898, the family-owned toolmaker combines old-fashioned quality and craftsmanship with innovative design to create superior tools that last a lifetime.<br><br> Every tool is hand-forged in the Netherlands from tough boron steel - shaped, sharpened and burnished for durability, giving it the same blackened patina as traditional Edwardian tools. Each is fitted with an FSC-certified solid ash handle for ultimate strength and shock resistance, oiled to provide first-class protection against the elements.<br><br> All De Wit tools come with a lifetime guarantee against manufacturing defects, making them a truly once in a lifetime purchase. Used it a lot and found it very useful. Love it! Does a great job weeding and raking debris towards you in the border for collection. Be very careful when putting it down, when knelt on you know all about it!